Solar options for commercial and industrial business provide an excellent way to manage your power consumption while promoting clean energy and healthy environments. Whatever the nature of your business needs, solar power can provide you with high performance, quality, and reliability while reducing your impact. Solar choices integrate seamlessly with your utility provider, providing you with the opportunity to reduce strain on the power grid and to support your local community. Systems exist for flat and sloped roofs and for large open areas. There are also systems that add supply power to conventional and existing building structures such as parking garages, walkways, and signs. As always, our industrial lighting company is here to deliver quality assistance in financing and installing equipment to deliver you the best energy solutions in the industry. With system life lasting at least 25 years, solar energy systems provide many options for financial benefit and investment payback. When you take advantages of both federal and state financial incentives, a solar system can be a powerful investment for you and your company. The electricity produced by your solar energy grid is used where it is generated, lowering your demand from the utility. Fortunately for you and your company, your solar power system will produce the most electricity during peak daytime and summertime hours, reducing your demand during peak rate periods. As energy prices continue to rise, your new solar system will provide you with an insurance against the volatile costs of powering your business. As time progresses, your solar system value will continue to increase by providing you with a constant supply of power without any unexpected supply costs or rate hikes. Since solar power is sustainable and local, your energy needs will always be independently met with a secure power source. This will reduce your dependence on other sources and any functionality problems that may arise due to over-demand or security issues. The shade provided by a roof-top solar system provides a significant amount of cooling during the hot summer months and insulation during the cold winters, reducing your heating, cooling, and ventilation costs. Solar panels on top of your roof provide protection from the elements to building materials that may degrade due to UV rays, wind, rain and other harmful elements. With a rooftop system installed, your building maintenance costs go down. The clean energy that comes from a solar power system may be rewarded by the sale of emission offsets or renewable energy credits in certain situations, providing you with another way to lower your financial output while improving the environment with effective energy solutions. Up to 60 percent of the cost of a new solar system may be covered by tax credits and rebates offered in you area. Colorado Lighting can help you figure out what financial incentives are available to you and your company. See below for more and let us know if you have any questions! The renewable power of the sun is a powerful and responsible energy source. By installing a solar system with CLI’s energy services, you will help your company and the planet all in one step. Solar power produces no emissions that pollute your community, unlike traditional power sources. By tapping the energy of the sun, your company eliminates emissions that cause acid rain, smog, and the global warming agent CO2, improving your surroundings both locally and globally and preserving the environment for future generations. Solar-powered systems generate power quietly and invisibly. Panels can be installed on top of buildings, in open areas out of sight, and in inconspicuous and appealing ways. Unlike other on-sight power generators, solar systems operate silently and emission-free, nearly eliminating any impact on the immediate environment. Local, state, and federal governments often provide valuable financial incentives and rebates to help reduce the cost of solar energy systems, often covering up to 60 percent of the initial investment. 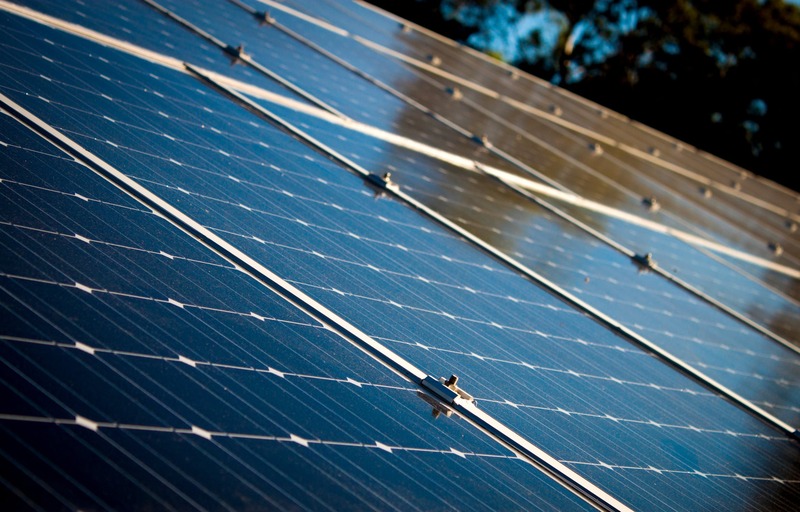 These incentives are important when considering a solar investment for your company. 30% Investment tax credit: The Federal Government offers a 30 percent corporate tax credit for those purchasing solar electric systems. Accelerated depreciation: while our solar modules are guaranteed for over 25 years, the Federal Government allows for solar electric systems to be treated as five-year property for depreciation purposes. The state of Colorado offers several incentives for those who are purchasing solar power systems, including rebates, performance incentives, tax credits, and so on. For more information, check out the list of Colorado’s incentives at the Database of State Incentives for Renewable Energy’s site. Our Denver lighting company is here to help you make the most out of your solar energy investment. Contact us with any questions or fill out the form below for more information about going solar with CLI!